For work in cardiac physiology and pathophysiology leading to the use of monoclonal antibodies to platelet surface antigens in antithrombotic therapy. Dr. Coller is a member of Phi Beta Kappa, Alpha Omega Alpha, the American Society for Clinical Investigation, the Association of American Physicians, the Institute of Medicine of the National Academies, and the National Academy of Sciences. He is a Fellow of the New York Academy of Medicine, the American Association for the Advancement of Science, and the American Academy of Arts & Sciences, and a Master of the American College of Physicians. Dr. Coller served as President of the American Society of Hematology in 1997-1998, the founding President of the Society for Clinical and Translational Science from 2008-2011, and as a member of the Advisory Council of the National Heart, Lung and Blood Institute from 2008-2012. 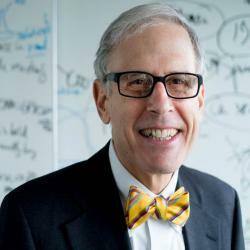 He currently Chairs the Steering Committee of the National Collaboratory, a trans-institute NIH Common Fund project, and Chairs the Program Steering Committee of the NIH National Centers for Accelerated Innovations (NCAI). Dr. Coller’s research interests have focused on hemostasis and thrombosis, in particular platelet physiology. He developed a monoclonal antibody that inhibits platelet function and a derivative of that antibody (abciximab; ReoProÔ; Centocor/Eli Lilly) was approved for human use by the FDA in 1994. It is now in clinical use throughout the United States, Europe, Scandinavia, Australia, and portions of Asia, to prevent ischemic complications of percutaneous coronary interventions such as angioplasty and stent insertion. More than 4.0 million patients have been treated with abciximab. He also developed an assay to assess platelet function, and automated derivatives of that assay to monitor therapy with abciximab, aspirin, and clopidogrel (Plavix™) have been approved for human use by the FDA (VerifyNow; Accumetrics). Dr. Coller is the recipient or a co-recipient of fourteen U.S. patents.